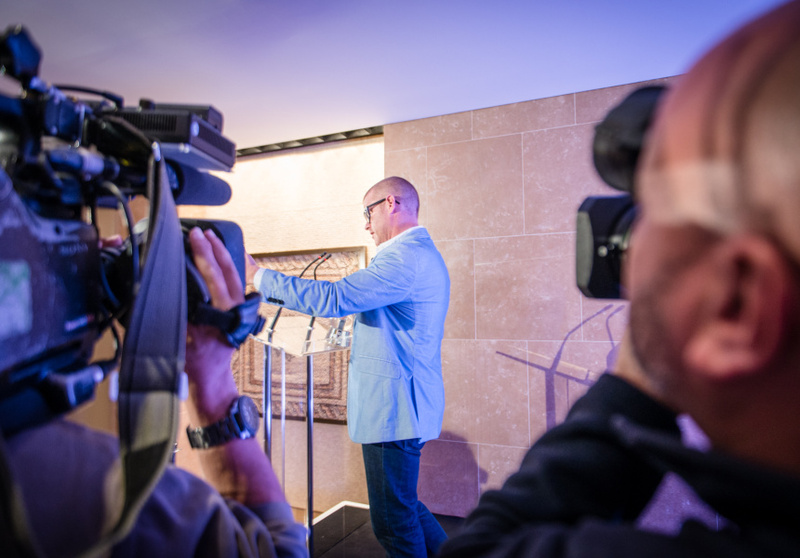 In town for a second announcement about the upcoming The Fat Duck restaurant at Crown, superstar chef Heston Blumenthal tells Broadsheet why he chose Melbourne over anywhere else in the world. 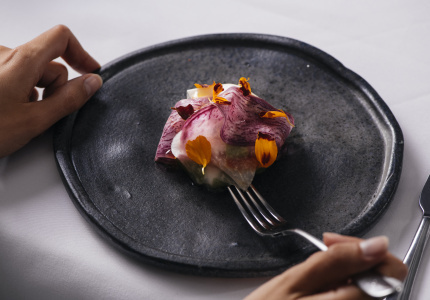 Five months ago, Melbourne’s reaction to the news that Heston Blumenthal was bringing his three-Michelin-starred restaurant, The Fat Duck, to Crown was feverish – and surprised. Yesterday, Blumenthal was back in town for phase two of the excitement machine to tell us how to score a table at the restaurant (and the price tag), which will open on February 3, 2015. 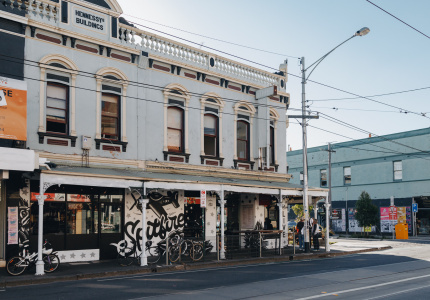 Broadsheet spoke to the British chef about his plans and why he decided on Melbourne. Broadsheet: When was the seed for this project first sown? 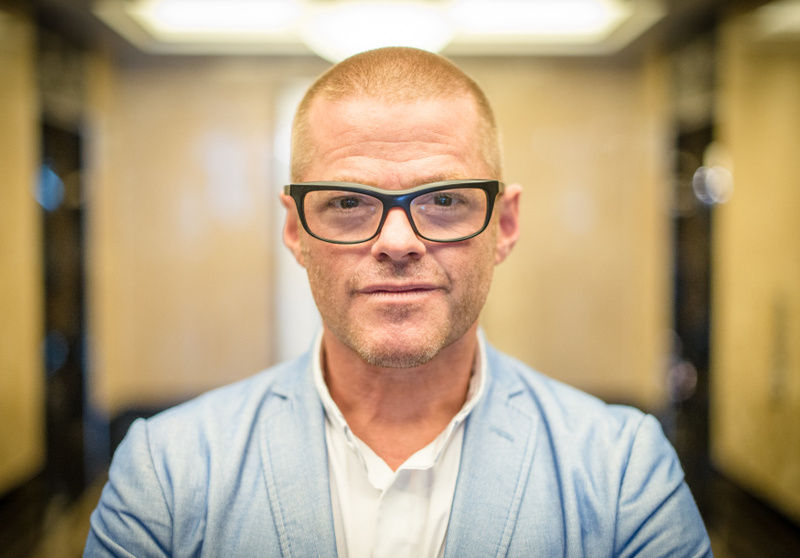 Heston Blumenthal: In terms of moving The Fat Duck, it goes back over 10 years. [The Fat Duck building, in Bray, Berkshire] is actually an old 16th-century cottage – from around 1548 – and on the back of it was a really dodgy 1980s addition that houses the kitchen. I had planning permission to build a new kitchen, then we had to renew it, and by the time it came to actually renew it, we needed a bigger kitchen. We really needed something that was bigger, but the problem we had was that it was going to be a six-month job. I couldn’t just shut and tell all the guys to go off for six months and say, “See you later”. And sure, you could pay them [while we were closed for renovations] but the wage bill would run into the millions. 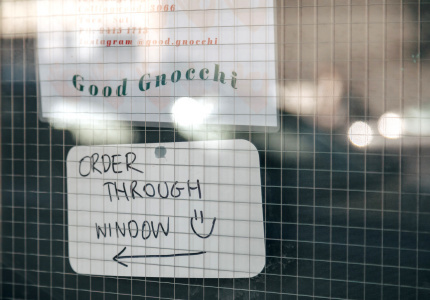 So we looked at it and thought, all we could do was to move The Fat Duck – but the question was, where to? The combination of us going out “shopping” so to speak, and being approached [by potential investors and host sites], left us with several options. BS: What were some of the other locations that you considered? HB: In the end I think we got three or four offers in Vegas, a couple in Dubai, one in Courchevel (a ski resort in the French Alps), which for me was really enticing. I love skiing so I thought, “Wow, this is going to be great!” but the building just didn’t work. There was an offer in Montreux in Lake Geneva, in the hotel there, but the closest we came was with one in St Tropez. To the extent that we had announced it to all the staff, and then it all fell through. So it’s been a long time. BS: Can you tell us a little more about the Melbourne connection? Was opening another Dinner by Heston venue here always part of the strategy, too? HB: From when we first opened Dinner by Heston in London [at the Mandarin Oriental, Hyde Park], the plan was always to do a handful of them around the world – that was the whole model. And because we had the relationship with the Mandarin Oriental, we thought New York would be the next logical step. At the time there were a whole lot of union issues over there, and at the same time things started to really happen [in the food scene] in Australia. It got to the point we had to make a decision; what do we do? And based on nothing else, other than the fact that I love coming to Australia – and if I had the choice I’d rather come to Australia – we decided on Melbourne. Yeah, New York is a fantastic city, but whenever I come here – even though I work every day – I can still breathe here. I’ve also got some really great mates here and then you add to that the food explosion and the quality of ingredients in Australia and it all makes sense. It wasn’t an obvious move to do the two together initially [The Fat Duck and Dinner by Heston]. But then we thought, “Hang on a second, this makes complete and utter sense. We should be doing the Duck here”. Then we realised we could have the Duck and leave behind Dinner and the whole thing just made a lot of sense, really. BS: You and your chefs (Johnny Lake and Ashley Palmer-Watts) have been travelling back and forth between Melbourne and the UK for the past six months. As a team what are you most excited about in terms of the produce here and having access to new things to play with? HB: We’re keen to explore some of the indigenous stuff, and the fish is an interesting one, too – there are very few fish that we get in the UK that you get here. You guys have marron and yabbies – some of the marron I’ve had here has been fantastic. Australia also has some of the best beef in the world and some of the best lamb I’ve ever had. In terms of establishing relationships with suppliers, it will be these guys (Johnny and Ash). But we’ll also be sending out another senior guy, he comes in October and that’s solely what he’ll be doing. Some of what we’re excited about is on the cultural side as well. The attitude to dining out here is really refreshing. There’s a kind of relaxed confidence here with food and the fact that there are no restrictive, historical rules around your food culture [as there are in Europe] means that there’s a real openness to just trying stuff. BS: So what should we be most excited about, in terms of The Fat Duck opening in Melbourne? HB: It probably took about 10 years for me to really get accepted in the UK, because it was like, “Ooh, he’s doing all this funny stuff”, whereas Australians just seem to get it. There’s a confidence here [with diners]. Some people, if you give them something a little bit strange, there’s a real pomposity and snobbery around food, but not here. What I want is a real sense of [grins widely and rubs his hands together, by way of intimating anticipatory delight] – that’s what’s going to excite me the most and the great thing is, all my guys [the staff] will absolutely thrive on that – that interaction. Honestly, there’ll be such a great atmosphere in the room and that’s what I want. BS: What do you say to all those people out there who are likely to miss out on a table at The Fat Duck? How are you going to stay friends with them? HB: [Laughs] Sorry guys! I mean there’s just no way of doing it. It’s not like we can say, “Alright, let’s just do 20 of these restaurants”. Though when The Fat Duck goes back to Bray, Dinner by Heston is going to be our legacy – and it’s the kind of place you could go to three times a week. The way we see it, The Fat Duck is away [from Bray] to just mature a little bit, and then it’s going to go back again. It’s doing this process where it’ll go back a little different from when it left. And Melbourne is playing a big part in the evolution. The Fat Duck will open at Crown Melbourne on February 3, 2015. 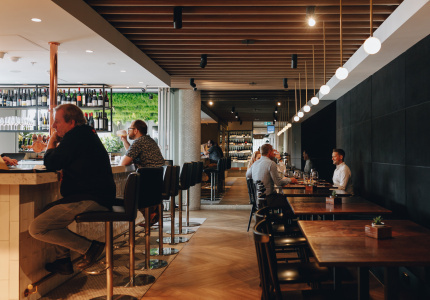 Reservations will be taken through an electronic ballot, which will open via the Fat Duck Melbourne website on October 8, 2014 and close on October 26, 2014. 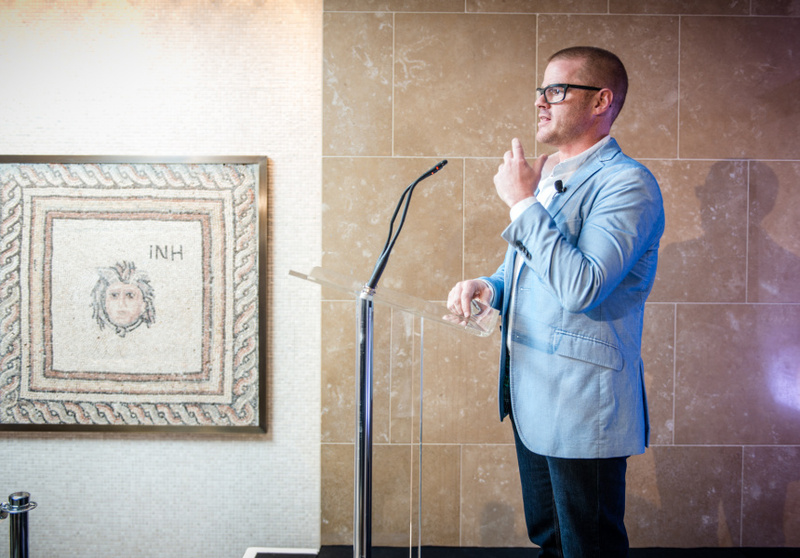 The Fat Duck will run for six months, and will be replaced by Dinner by Heston Blumenthal in August 2015.